If you’re looking to breathe new life into your hair, you don’t have to drop hundreds of dollars at the salon. Chances are, you already have everything you need to rock one of these trendy flat iron hairstyles right now! From silky straight to waves, curls and amazing updos, you’d be surprised just how versatile your flat iron can be. Read on to learn how you can get these runway-ready flat iron hairstyles today, right in your bathroom. This easy style will have you channeling a beachy and carefree vibe in no time. Whether you’re heading out for a seaside brunch or a night on the town, this versatile look is a winner. Best of all, it’s quick and easy, and all you’ll need is your flat iron. The bun is back in a big way, and today we’re going to show you how to get this polished look in a matter of minutes without much more than your straightener and blow dryer. Blow dry, or air dry your hair. Use your flat iron to get your hair completely straight. Make sure to achieve a smooth and glossy appearance. Put your hair into a tight pony at the crown of your head with a hair tie. Braid your ponytail and wrap it around the hair tie. Spray with firm hold hairspray to lock your style in place. 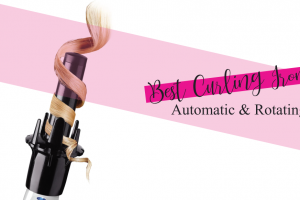 An easy, carefree curl looks beautiful on virtually everyone. But, it can be a hard look to achieve, especially at home. 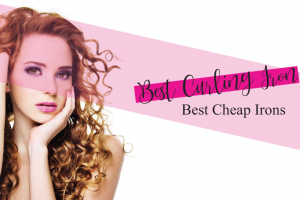 Usually, we make curls with a curling iron, but too often your hair comes out looking crimped and fried; a far cry from the bodacious curls you were hoping for. 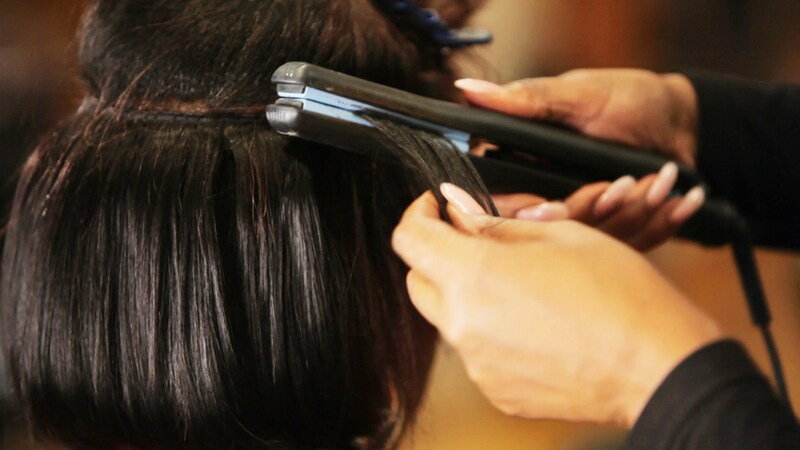 Fortunately, your flat iron can lend a helping hand. This style can take a little while to master, so we recommend trying it with a cool iron first, so you don’t burn your hair. We also recommend that you spray your hair with a heat protectant before using a hot iron. First, blow dry, or air dry your hair. Use your straightener to get your hair completely straight and smooth. Separate your hair into one-inch sections. You may want to go with wider sections if you have long hair. Clamp your hair at the bottom with your straightener, and curl it upwards, almost like you’re using a curling iron. If you’re using the iron cold, let it sit for a few seconds after you twist it 180 degrees before you pull it out. You’ll achieve a looser, almost wavy curl, which is an awesome look on its own. This evergreen look has been a fixture since icons like Audrey Hepburn wore it in the 60’s. Girls today are still channeling this look more than 50 years later. You can achieve this understated, elegant look in just a minute at home, provided your hair is shoulder length or shorter. Next, straighten your hair as you usually would. But, two inches from the ends of your hair, carefully twist the iron inward and finish straightening your hair. Tug lightly to release. Be sure to be careful when you turn the iron inward! The last thing you want is a nasty burn on your neck from a bob-related accident. Sometimes, a slight change can deliver big results for your ‘do. By adding some body to your otherwise straight hair, you can achieve one of the trendiest flat iron hairstyles quickly and easily at home. You can accomplish this style one of two different ways. Don’t worry; they’re both super easy. Straighten your hair as usual. 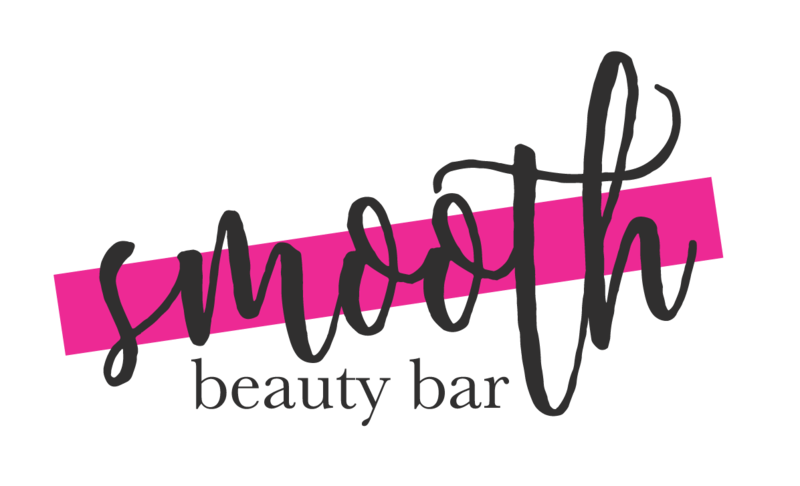 Be sure to achieve a smooth and silky appearance. Put your hair in a bun and go to bed. Wake up, take your hair out of the bun, and enjoy those sassy bends. Clamp your iron at the top of your hair and slightly twist the iron back and forth as you move downward. Looking like you just rolled out of bed is never as easy as simply rolling out of bed! But, you can still capture this runway-ready look in a few minutes with this fun and easy style. A texturizing product can go a long way in achieving this style. But, you can still get by without it, if you don’t have any handy. Spray your hair with a texturizing spray or add a little texturizing cream. Clamp your hair at the bottom with your flat iron and gently curl upwards until you’ve reached the top. Scrunch your hair lightly to define your new style. 7. Short Hair? Wing it Out! Girls with short hair need fun and trendy new styles, too! If you’re looking for a quick way to breathe life and personality into your textured, short hair, we’ve got a great style for you. This style works best on pieced, heavily textured styles, but you can also apply this style to longer hair, too. If you have longer hair, pick a few random sections after you’ve straightened your hair and straighten them again, curling the iron inward the last few inches of the section before releasing. Style your hair the way you usually do. Pick random sections of hair and clamp about an inch up from the end. Curl your iron inward as you run through that inch of hair to achieve a cool, winged out look. These 7 flat iron hairstyles are a great way for you to breathe new life into your hairstyle. Best of all, many of these styles are versatile, and you can feel confident knowing that your new ‘do is fit for any occasion. So, before you take your next trip to the salon, think twice, and try one of these trendy flat iron hairstyles instead!